The Basics You Need "Down There"
- and MORE, from Makin' Tracks! Enter quantity desired under "Order Qty." Note how items are supplied (pack of 3, card of 24, etc.). Thus, 3 packs of 3 gets 9 total items. Some descriptions have a "more..." link. 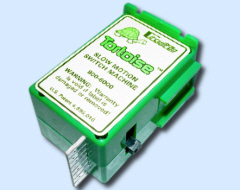 Click for more product information which will appear in a separate window. 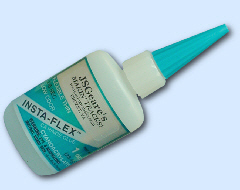 This can be especially important for the adhesives which have very specific properties and applications. At page bottom, add whatever notes, instructions, or questions you have, your email address, preferred method of payment and zip code in the boxes provided. Normally we bill using a PayPal invoice, which may be paid with a credit card (no PayPal account is required). Shipping (the lowest cost available) will be added to your order. 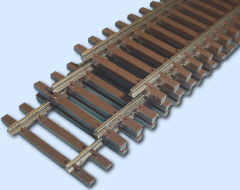 The essential, code 83 Atlas Flex track, 3 feet long. Sold in units of 5 to a pack. Code 100. Same quality, but less cost than code 83. Sold in units of 5 to a pack. MSRP: $1.60 each (case of 25) Buy 1-10: 1.40/ea. 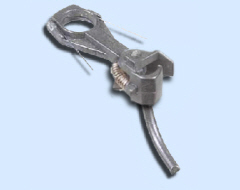 Medium length, centerset shank; centering spring but NO gear box (pocket) included. If you need the pocket, see Kadee #242 below. Sold in pairs. 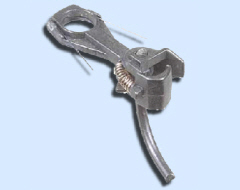 Medium length, centerset shank, smaller more prototypical knuckle than the #5; centering spring but NO gear box (pocket) included. If you need the pocket, see Kadee #242 below. Sold in pairs. 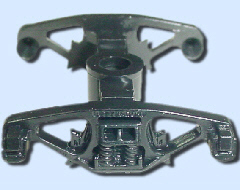 Same #5, but completely self-contained; does not need separate centering spring - just drop in. NO gear box (pocket) included. If you need the pocket, see Kadee #242 below. Sold in pairs. 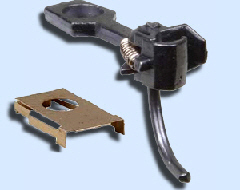 Same #58, but completely self-contained; does not need separate centering spring - just drop in. NO gear box (pocket) included. If you need the pocket, see Kadee #242 below. Sold in pairs. 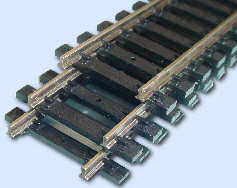 "Rail Modeler's Friend" makes quick work of assembling coupler and pocket. 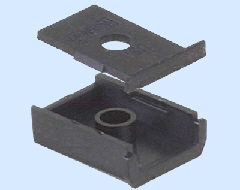 Drop in a coupler snap on the lid. Done! No hardware required. Ten pair (for 5 cars) to a package. 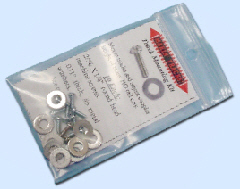 Insulated metal wheel set in lots of 10, 50 or 100. 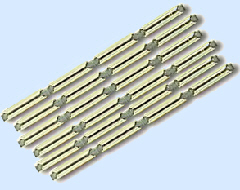 .85 per axle (in lots of 100) Buy 10-49 axles: .84 ea. 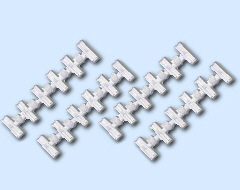 Buy 50-99 axles: .79 ea. 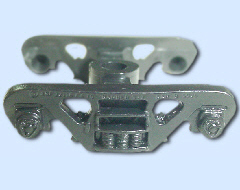 Highly detailed trucks are appropriate for early to mid 20th century rolling stock, mainly being 40 to 50 foot frieght cars. 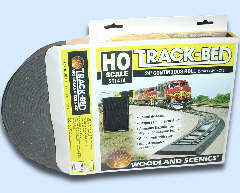 Highly detailed trucks are appropriate for mid 20th century rolling stock, mainly being 40 to 50 foot frieght cars. These trucks were capable of increased loads owing to heavier frames and additional suspension. They are appropriate to mid 20th century and later rolling stock. 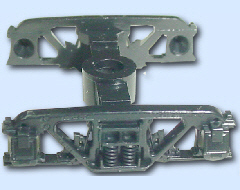 Great for upgrading older "toy" type cars to make them compatible with the 2/56 screws commonly used in Athearn and many other manufacturers to attach trucks to car bodies. See below for specific instructions and a "kit" deal. 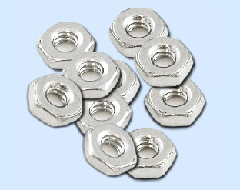 You get 10 hex nuts - enough for 5 cars. Choose number of units you want. MSRP: 19.95 each Buy 1-3 units: 17.00 ea. Buy 4-9 units: 15.00 ea. Thinner than water. Fine tip applicator #322 recommended. Nearly Instant bond. 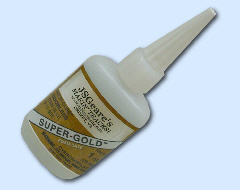 General purpose, the most popular choice, in an economical 1 oz size. Higher viscosity to bridge gaps. 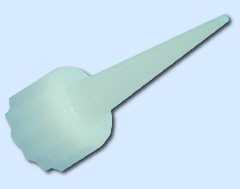 Best for most plastics models (ships, autos, planes, etc.). 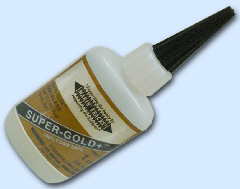 BLACK rubber-toughened to form superior shock resistant bonds on non-porous surfaces. (For clear, see #120 Insta-Flex+). Flexible AND thin. 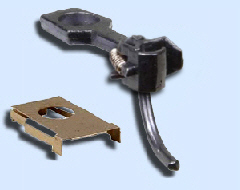 Ideal for many applications, including the installation of CA hinges. When cured, does not turn brittle and remains clear. Fine tip applicator #322 recommended. 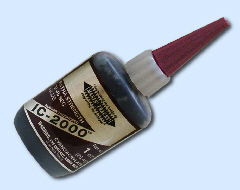 CLEAR rubber toughened similar to black IC-2000™ but can be used in applications where you do not want the adhesive to be seen. Odorless version of INSTA-CURE. Non-frosting and take only 2 or 3 seconds longer to bond. No irritating fumes. Will NOT attack white foam. Fine tip applicator #322 recommended. 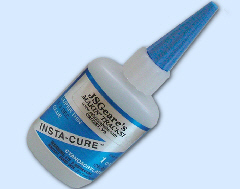 Odorless and non-frosting, set in only 2 or 3 seconds longer than INSTA-CURE. No irritating fumes, does NOT attack white foam. More Information about No. 127. 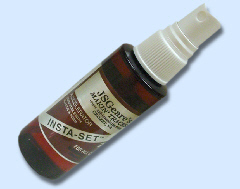 Softens cured CA so parst may be separated or glue may be removed from skin. 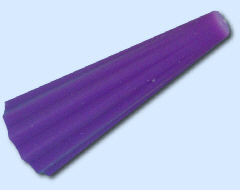 Thick paste which comes in an applicator tube like toothpaste. 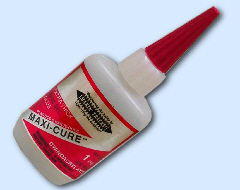 Same bonding and curing time as Maxi-Cure. May be applied to a vertical surface and will stay in place. More Information about No. 116. 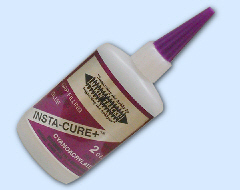 Spray on glued area for nearly instant bond, or apply glue to one piece, and spray the other with Insta-Set for an instant bond when parts are joined. 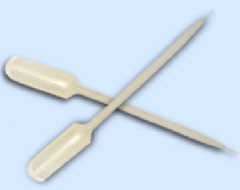 Use to precisely apply a droplet of CA in hard to reach areas or where exact placement is critical. Fill as you would an eyedropper; squeeze bulb, place tip to CA and release. 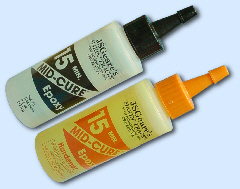 Product will remain viable in applicator for up to 2 weeks. Especially recommend for for Super thin CA's - see above descriptions. You receive pairs. 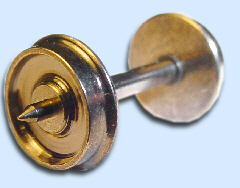 Avoid the drudgery of attempting to ream out clogged nozzles, and expense of replacing CA before you've used it up. Order several for quick replacement and return to work. 1 extra top and cap per bottle is free with order of $10 or more for CA. Like the tops, the caps, too become so clogged that a proper seal on the top is impossible, and product will tend to dry in the bottle. The color you receive MAY NOT match the original color. 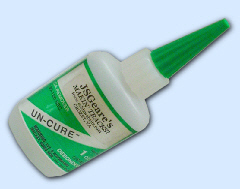 Cures to a slightly flexible consistency, allowing a lasting bond in areas of high vibration or stress. DO NOT use for areas that are subject to long-term immersion in water. Handle in 15 minutes. Full strength in 1 hour. 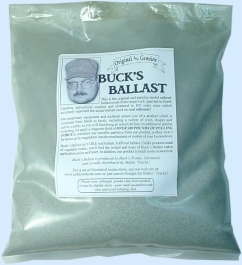 Use in larger areas where more working time is needed. 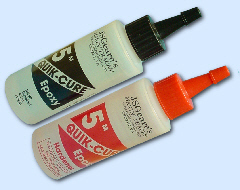 More water resistant than QUIK-CURE™ in most applications. 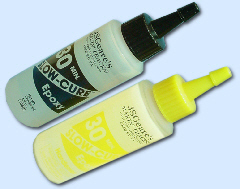 The most flexible epoxy, ideal for gluing to fiberglass surfaces. Handle in 45 minutes. Full strength in 2 hours. 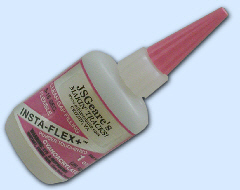 Best for reinforcing fillets on joints. 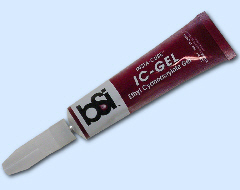 Highest strength of BSI epoxies. Waterproof and more heat resistant. Handle in 8 hours. Full strength in 24 hours. 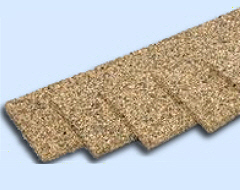 Low odor substitute for polyester resins, can be used for applying fiberglass cloth to wood or by itself to give wood a surface ready for primer and paint. 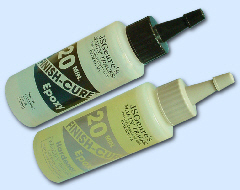 Easiest to sand of all BSI epoxies. Drying time varies with temperature. How to Convert Older "Toy" Type Models to High Performance, Good Looking Models Our tutorial walks you through the steps of converting those old toy cars with talgo trucks and plastic wheels into nicely performing, good looking freight cars. Fully illustrated and written so you can understand it. Don't toss those old cars out yet! The tutorial is free. Enter your preferred payment method here, or skip this field if PayPal or Credit card selected at left. IMPORTANT! If you don't enter your email, I can't answer you! Please make sure it's right.